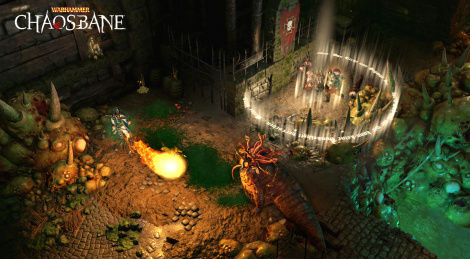 Here is the first gameplay video of Warhammer: Chaosbane, taken from the Gamescom build. The commented walkthrough gives us a glimpse at captain Konrad Vollen and the High Elf mage Elontir during a mission in the sewers of the Imperial captial Nuln. The game will be out next year.